Begin with three drawn lines (rails). I like the rails about 1/2 inch to 3/4 inch apart for The Small Open Leaf. 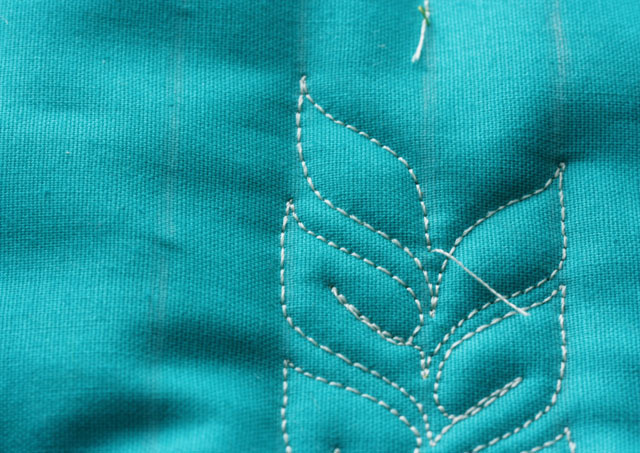 Begin stitching on the middle rail. 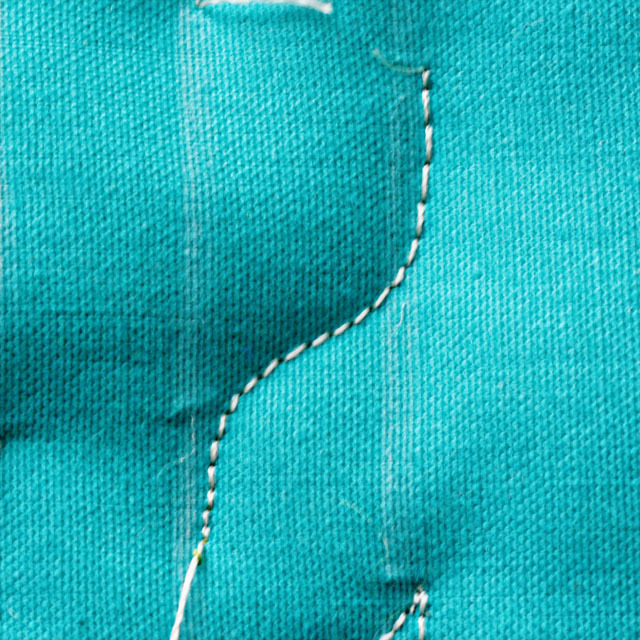 Stitch a few stitches on the rail, then curve up to right rail and continue with a few stitches along the right rail. This is a good place to stop with your needle down if necessary. 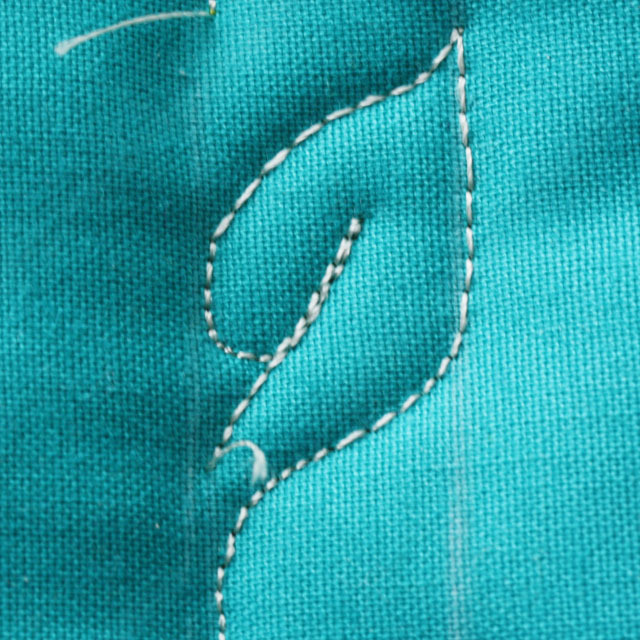 From here, stitch the vein into the center of the leaf and then straight back down on that line to the center rail. From the center rail- sweep up and toward the left rail…stitching a few stitches along the left rail. Stop here. 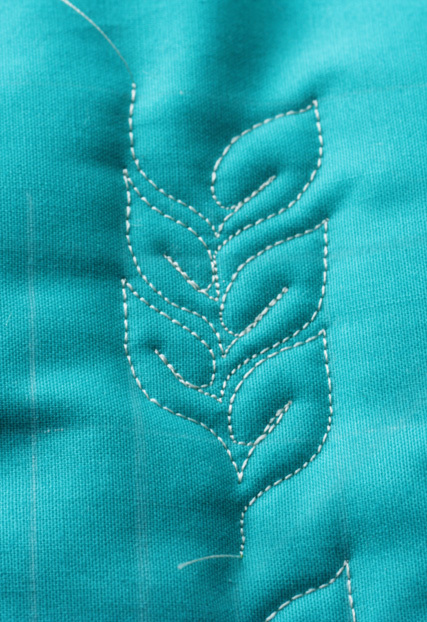 Now curve down to the middle rail again and stitch the center vein. You are ready to repeat the pattern! As you can see, I don’t always add the center vein on the leaves. I think it looks more interesting when there is a variation–your brain can’t “read” the pattern as quickly, and consequently, it requires a little more viewing time. I don’t have any scientific information here– just something I have noticed. 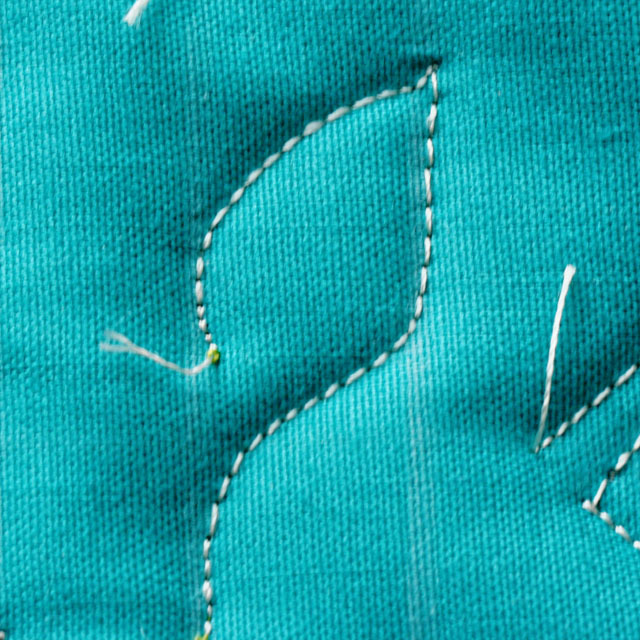 Tip: As you begin each new leaf, try to stitch parallel to the leaf below it–in other words, try to leave an even space between two stacked leaves. This creates a nice symmetry. 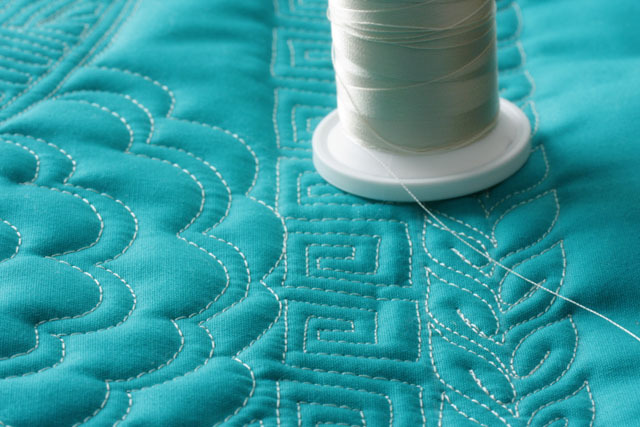 Of course, the Small Open Leaf can be stitched very large, but it is a simple pattern and unlike other, more complicated motifs, it can be stitched quite small–hence the name: The Small Open Leaf. 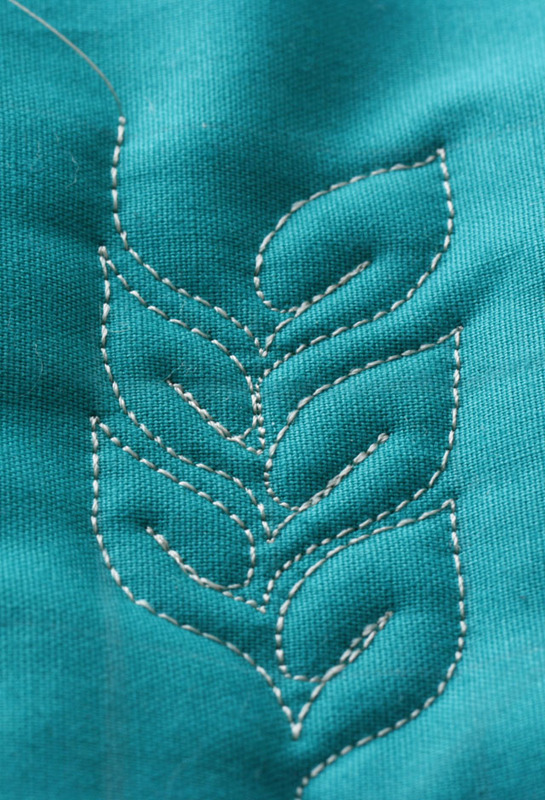 Next Tuesday, we will be stitching another gorgeous variation of The Open Leaf…so keep stitching, keep doodling, and keep Pinning (on Pinterest), but most importantly…Think WARM thoughts and send them our way! Check out http://www.Chasing paper today after 12:00 pm to see what Elizabeth has in store for folks. 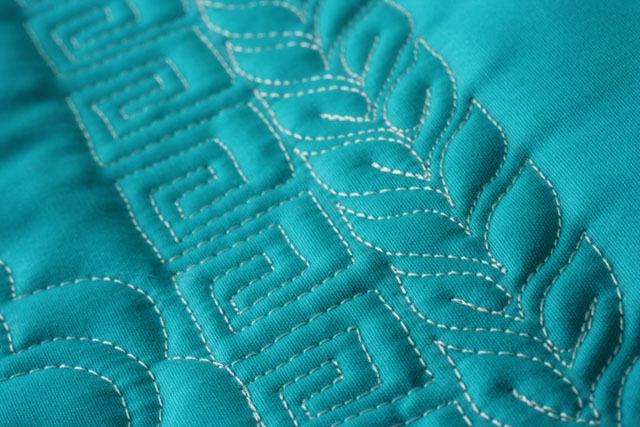 Beautiful color fabric, and stitching! Thank you for sharing! I love it!